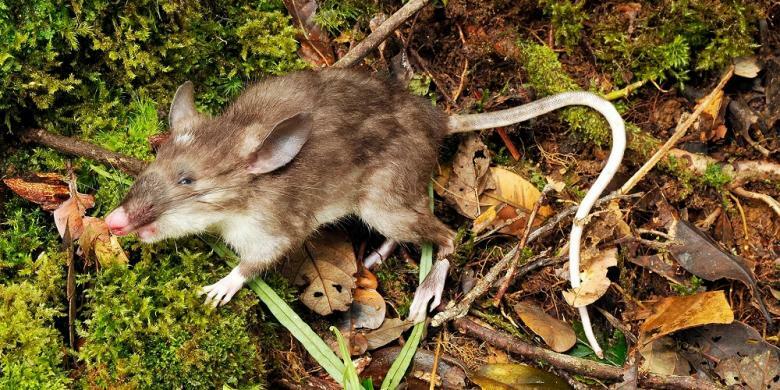 A team of scientists from Bogor Zoological Museum, Research Center for Biology Indonesian Institute of Sciences (Pusat Penelitian Biologi Lembaga Ilmu Pengetahuan Indonesia/LIPI), Louisiana State University, and the Museum of Victoria reveal a new genus of mice, called hog nosed rat. The new genus found in the virgin forest at Tolitoli region, Sulawesi, which is rarely touched. Only one of two local rattan searcher reaching the territory. The findings provide knowledge about the spread of gophers that it can reach the area further north and higher than expected. The research result published in the Journal of Mammalogy on the October 2015 edition. Anang Setiawan Achmadi, Jake Esselstyn, Kevin Rowe, and Heru Handika are conducting research expeditions to the jungle area of ​​Mount Dako when encountered genus rat was in 2012. The team set traps and bait-flops on a plateau in a forest at an altitude more than 1,500 meters. Trap-flops are common devices commonly used to collect wild rodents. "Kevin who the first discovered these mice. He was screaming. We were still in the camp and heard immediately suspect something is shocking," said Anang. Once Kevin bring specimens to the camp, the whole team for joy. They immediately conduct a brief analysis and believes that the rats are trapped is a new species. While doing the analysis in the laboratory, the team revealed that rats captured specimens are very distinctive and different from the other so that even deserve to be called a new genus. Scientifically, this new rat species named 'Hyorhinomys stuempkei'. The genus name "Hyorhinomys" is taken from the word "hyro" which means "pig", "rhino" meaning "nose", and "mys" which means "mouse". Meanwhile, the species name "Stuempkei" is taken from the pseudonym Gerolf Steiner, Harald Stuempke. He is the fiction author of The Snouter that tells the story of the rats exposed to radiation so that their nose became long. As told to Kompas on Monday, October 5, 2015, Anang said, "a very prominent characteristic of these mice are nose like a pig nose." The animal was said to be like a pig nose because of its large, flat, and pink. Another characteristic is the very long hair in the section near the urethra. "We have yet to find gophers have long urogenital hair, reaching 5 centimeters. We do not know what its function." Another unique characteristic of this new mouse is white incisors. Most mice have an orange incisors. Meanwhile, its ears big. "In Australia, Hyorhinomys look more like Bilby rats, with large hind legs, big ears and long, as well as long and tapered muzzle," said Kevin. It is one of the hallmark characteristics of carnivores rodents that eat earthworms, beetle larvae and small insects. This rat findings challenge the view of scientists about the spread of shrews in Sulawesi today. So far, only spread to shrews said central Sulawesi region and in the lowlands. Tolitoli region already too north. "To get there, there is a barrier that must be overcome. How this shrews get there, this is still a question," said Anang. Meanwhile, shrews until now found only at altitudes below 1,500 meters above sea level. 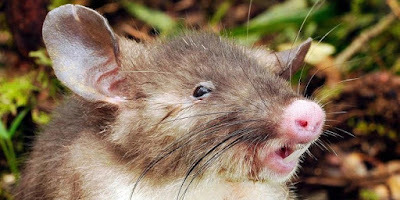 Hog nosed rat was found at an altitude of 1,600 meters above sea level. These findings add to the list of unique mice on Earth before. 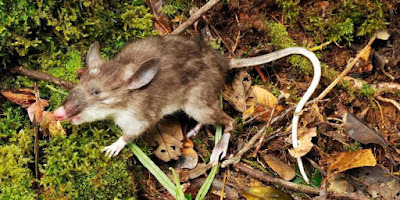 Previously, the presence of a number of mice revealed, the toothless rat (Paucidentomys vermidax) and Mamasa water rats (Waiomys mamasae). Kevin said, "We're still amazed we could walk to the corners of the forest in Sulawesi and discovered several new species of mammals are very different from known species, or even genus though."